The legacy UK music store HMV was approved last week by Apple, but as it turns out, the company’s app review team gave the green light for a competing music app store. So the app disappeared from the App Store as quickly as it had appeared. After realizing that the HMV app is selling music, Apple asked the developers to remove the feature by 6 p.m., Monday, October 21. Since HMV wasn’t able to meet that demand, the app has been “temporarily removed” from the App Store, the Guardian reports. 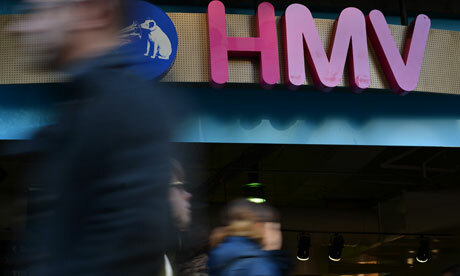 Speaking with the British newspaper, Paul McGowan, chairman of HMV and chief executive of its parent company Hilco Capital, described the dispute between the two companies. “After the first 5000 downloads of the #hmvapp overnight we get the first rumblings of discontent from Cupertino,” wrote McGowan to the Guardian, before following up with: “Apple have politely asked us to remove the #hmvapp from the AppStore. We have politely declined.” “HMV’s developers are working around the clock to deliver an updated version of the iOS app for Apple’s approval which will retain the innovative Image Search and Sound Search functionality to discover music and listen to 30 second previews,” explained HMV in a statement last night. The app had allowed people to browse and buy MP3 downloads from HMV’s relaunched digital music store. Obviously the developers were disappointed by Apple’s move. 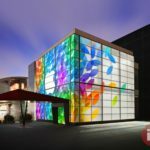 Interesting enough, though, Apple granted the exact same features on September 15, so practically they are dealing with a sudden change in Apple’s position.